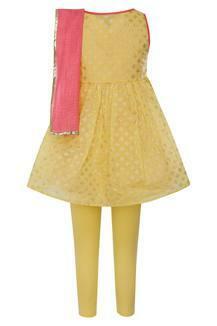 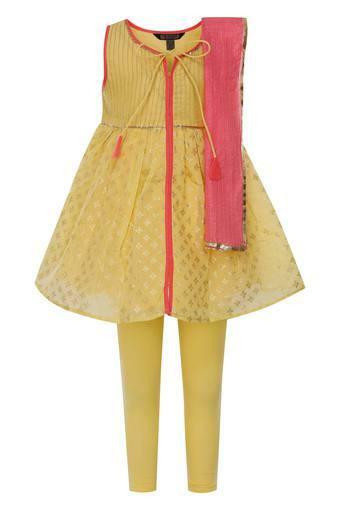 Make your little daughter look like a princess by letting her wear this churidar suit brought to you by Stop. The sleeveless kurta has a tie up neck, thus lending it a smart appeal. 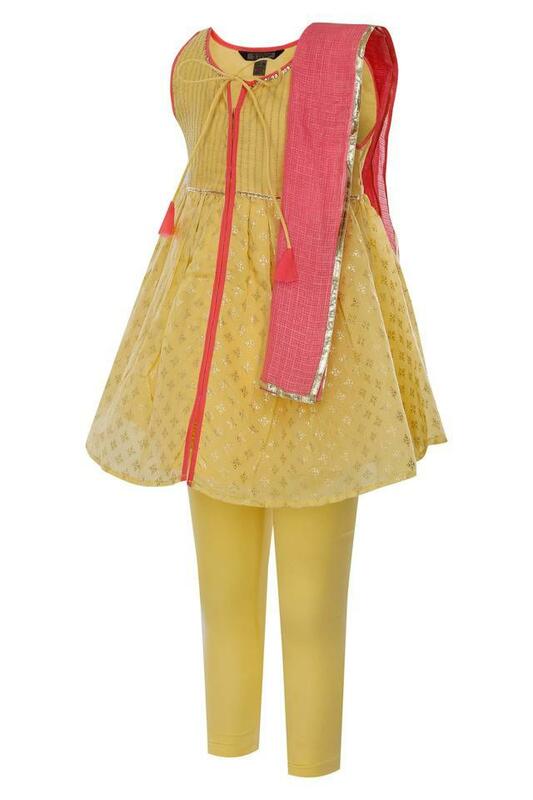 It also has an printed work at the front, while the leggings comes in a solid pattern thereby making it all the more gorgeous.